Equipment Rentals, Hotel Stays and more. We are Accepting submissions for Feature Narrative and Documentary, Short Narrative and Documentary, Action Screenplays, Original Action Musical Scores, and Fan Tribute Films. All genres are welcome, as long as there are action sequences within the film. The festival programming staff will place your film in the appropriate category. All entries will be judged on content, creativity, imagery, story, and skill of the filmmaking. Productions produced from 2015 to 2019 may be submitted. All films must be submitted in a digital format for consideration by the Selection Committee. 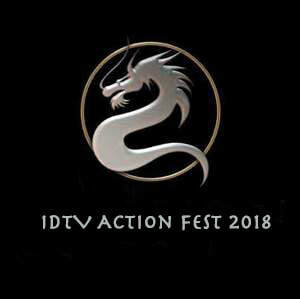 Films selected for the IDTV Action Fest will be announced no later than June 10, 2019. IDTV Action Film Festival is hereby granted the right to utilize footage and promotional materials supplied by the submitting agent from any film submitted and accepted. 1. Foreign films must submit a version with English subtitles. 2. Films must not be available online (YouTube, streaming sites, Vimeo, etc). 3. Films must be no older than 4 years. 4. Selected films chosen MUST send correct digital format to be screened in the festival. 5. If a film is altered after the Final Deadline date, the film will be removed from programming. For Soundtrack/Song Submissions: Please submit either an electronic MP3. Sheet music is NOT required but can accompany the submissions if desired, although this would not affect the outcome of judgment.